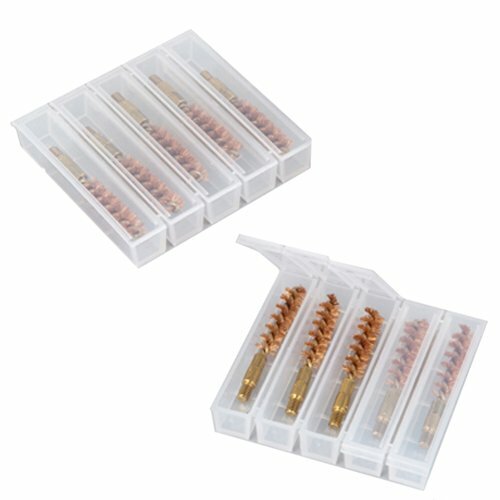 These brushes have a Tufcor proprietary core wire that is corrosive resistant, has a tighter twist for better bristle retention, and can be used with all firearm cleaning chemicals. Otis premium bore brushes also have twice the fill as other brushes, the stem is cold welded to the core, and the brushes are filled to the end. Each brush has the specific caliber or gauge stamped on the stem so you will never clean your gun with the wrong brush. This brush is 2" in length with an 8/32 thread. If you have any questions about this product by Otis Technologies, contact us by completing and submitting the form below. If you are looking for a specif part number, please include it with your message.